When Evelyn Waugh was interviewed on Canadian television many years ago, the interviewer made the mistake of patronizing his distinguished guest, then England's most remarkable satirist. This led Waugh to counter with questions of his own that the interviewer did not have the wit to parry. When asked, for instance, why he had become a Roman Catholic, Waugh simply shot back: "What else can one become, save a Roman Catholic?" The question now has more acuity than ever: what else is there to become? One reason why the question is so pertinent is the materialism that envelops us like smog hovering over a large city on a sultry summer day. From a materialistic point of view, religion appears a mere private compartment in life, an optional extra. Self-gratification and personal convenience are the obvious goals. Living according to the demands of the Catholic faith is merely another way of feeling "more comfortable", like preferring tennis to golf. Yet, while there are different motives for embracing the Catholic Faith, convenience can hardly be one of them. Indeed, were convenience the measure of moral or religious belief, then no practical person would hesitate before choosing Protestantism over Catholicism. Mainstream Protestant churches offer a freedom of conduct, particularly in such matters as church attendance, personal discipline, divorce, contraception and abortion, for which there is no parallel in the Catholic Church. To make a long story short, whereas there is between Protestantism and Modernity a compatibility which we'd sometimes be tempted to associate with a secret complicity, Catholicism, without being estranged from the modern world, is proud, so to speak, of being independent from it. Protestantism is proud of its complicity. Catholicism is proud of its integrity. Strange as it may seem, therein lies the appeal of the real Catholic Church. It's precisely Her refusal to accomodate Her doctrine and moral teachings with Modernity which makes Her so compelling, something which cannot be understood by some. And even though, seen from the outside, the faithful pay a high price for their uncompromising attitude, they pay it ungrudgingly and, more often than not, with great serenity. For there is a certain romance to Catholicism that is unlike anything other churches can offer. The Catholic Church teaches that human nature, though wounded by original sin, can be restored to new life, filled with good works, sanctified through the grace of Jesus Christ. Grace can permeate every aspect of human life, not just time devoted to prayer or church. Pessimistic about the destiny of a human nature that refuses to let itself be redeemed by the Blood of Christ, the Church is filled with trust for the "new man" recreated by Baptism. The Catholic outlook excludes the notion of a double life: God for Sundays and special occasions, and one's own interests, professional, family or social life for the rest of the time. It emphasizes unity of life by teaching that ordinary people can be contemplative and should seek spiritual perfection, not despite, but thanks to, their daily work. Holiness, then, is not only for monks, but for all, including homemakers, students, workers and others immersed in activities of the world. The effort to "be perfect as your heavenly Father is perfect" turns ordinary life into drama and high adventure. One need not be a Christian to value such things as patience or willpower. But the idea that everyday work and the most ordinary efforts to improve ourselves can be offered to God and become means of sanctifying ourselves is one that can be found only within the Church. That God can be found in the small things of life is not a new idea. It is a truth that the medieval world took for granted and which found its perfect expression in the exquisite Gothic cathedrals of Europe and the minutely detailed manuscripts of the Middle Ages. But this would never have been possible, without the human virtues that the Church has always proposed to the faithful to perfect their conduct and cultivate the presence of God. According to Saint Augustine, "living well is nothing other than loving God with all our heart, all our soul and all our deeds. We keep for Him all our love (through Temperance) that no mishap can threaten (which pertains to Courage), which obeys only Him (and this is Justice), and which watches to discern all things, in order to avoid being ensnared by cunning tricks and lies (and this is Prudence)". It is the romance of excellence, the idea that even the most insignificant details of life, if they are offered to God, harbor an element of the divine. The notion of unity of life makes some people uneasy because they believe it to be incompatible with respect for those whose ideas or "lifestyles" are not in accord with Christian morality. "How can a Catholic politician imbued with this notion not seek to impose his particular views on society as a whole?" they will ask. The answer, of course, is that there is no Christian solution to specific temporal issues. Nor is there such a thing as a specifically Christian state or economy. The Church has no authority to say that free trade is better than protectionism or that a civil code is better than common law, because those issues lie outside its competence. But the Church brings light on all human affairs, a light which can be transmitted by the voice of reason. What the Church does say is that any solution to temporal issues must conform to human nature. And She claims to know precisely what human nature is. The Catholic Church is, in the words of Paul VI and John Paul II, an "expert in humanity". This is why She is unique in defending the absolute nature of morality or, for that matter, the very idea of an absolute. She claims to teach the truth. Other Western religions and philosophies claim to offer not the truth but rather possible approaches to, or approximations of, the truth, i.e. statements that are never mutually inconsistent and that implicitly grant each other the same "relative" value, the only certainty being that we can be sure of nothing. Hence, Catholicism emerges as the common enemy. Neither of the two moral systems competing with it - liberalism and Protestantism - claims to be able to provide a universal moral system that can be argued in reason. Secularism (also called Secular Humanism) asserts there is no such thing as an objective, moral truth. Moral values would only be opinions or human creations. Instead of being founded in some higher reality - something supernatural -, values merely reflect personal preferences, explicitly or implicitly. One implicit consequence is that all values are equal: those of Mother Theresa are no better than those of Hitler or Stalin. Liberals or Secular Humanists argue that belief in objective moral values breeds intolerance: "objectivists", they say, seek to impose their values on everyone. This accusation is just as absurd as it is false. First, liberals assume - albeit unknowingly - tolerance to be an objective moral value in demanding that we all be tolerant (at least of them). Second, tolerance is a Christian, not a liberal, invention. Its origins are biblical: "to hate sin and love the sinner." It is a civic virtue resulting from the freedom of conscience that was invoked, first by the Jews who, during three hundred years before Jesus Christ, lived under foreign occupation, then by the Christians of the first centuries who, at the risk of their lives, demanded the right to not adore the gods of Imperial Rome. Tolerance is a Judeo-Christian invention. Protestantism, like Catholicism, admits of a natural law, "written by God", which binds man to objective moral norms. Like Catholicism, it also draws these norms from Scripture. However, it differs from Catholicism in one major respect - it does not trust in the power of reason to corroborate the truths revealed by Faith. In the Catholic vision, reason, being an integral part of human nature, is also sanctified and saved by the grace of Jesus Christ. Thus, Catholics think it possible, through the exercise of reason, to arrive at firm conclusions regarding the moral law and its Author. Medieval Theologians, those very ones who were accused of intolerance by the Protestants and Secular Humanists, have contributed more than anybody else to highlight this profound harmony between Faith and reason. Ironically, by rejecting this harmony, Protestants and Secularists have worshipped reason, and this idolatry, precisely, ended up with the contempt for reason that can be seen in Western philosophy of the past two centuries. And at the beginning of this 21st Century, Catholics are about the only ones left with enough intellectual strength to save reason from the shipwreck caused by modern rationalism. 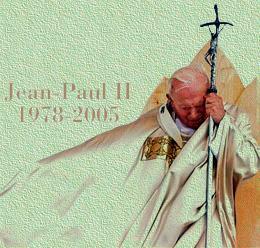 This is the message of John Paul II's latest encyclical on Faith and Reason. Protestants, especially of the Lutheran and Calvinist tradition, tend to despair of reason, which they consider to have been totally corrupted by original sin. Their faith is almost completely dissociated from reason. It is, as Soren Kierkegaard, the Lutheran theologian, put it, "a leap in the dark". This is how the new Protestants (those called Evangelicals) see things. Divine Law, they claim, cannot be approached with reason. This explains why there have been no doctrinal developments in Protestantism - except for the drift toward liberalism. Protestantism has virtually no moral intellectual tradition from which it can draw conceptual tools to oppose the onslaught of modem liberalism. Intellectually impotent, it has surrendered on several moral fronts, particularly family and life issues - divorce, contraception, homosexual attractions, abortion, euthanasia, cloning, etc. Seeking a compromise with liberalism's ultima ratio - personal convenience - it has in effect adopted the liberal agenda. To the point where it is today almost impossible to establish a demarcation line between the Protestant tradition and Secular Humanism. 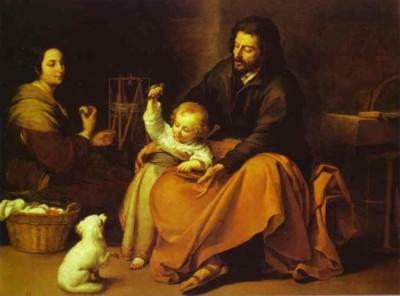 What both Protestants and liberals fail to see is that Catholic teaching about sexuality, marriage and family is really all of a piece because it all derives, not from a negative view of pleasure, but rather from a positive view of the body. The body is not an instrument of the ego, it's an integral part of it. This is why the Church, as opposed to Protestantism, has always maintained that giving one's body (reserved to marriage) becomes giving one's self, failing which it is a lie. Hence its positions on sexual relations outside marriage, contraception, homosexual acts and other "choices". It's also Her noble idea of the body which makes Her uphold the dogma of the resurrection of the body, and Her insistence of the respect due to corpses. It follows that the Church's moral teaching is not primarily a set of prohibitions but an invitation, an invitation to what Saint Paul called the "more excellent way" - the way of love. Only in the light of that way do prohibitions make sense - and life become a romantic adventure, with all its sufferings, ordeals and joys. Catholicism is an invitation to heroism in everyday life. Liberalism a search for comfort whatever the price. Protestantism, initially designed as a middle ground, reveals itself intellectually and morally untenable and merges more and more with Secular Humanism. Between these three possibilities which, in truth, are only two, everybody must choose - or to speak more accurately, everybody chooses. Because we cannot avoid choosing. Copyright © 2006 Richard Bastien.